1. Create – the Individual Products that are components of the bundle using the steps to create a Product. 3. 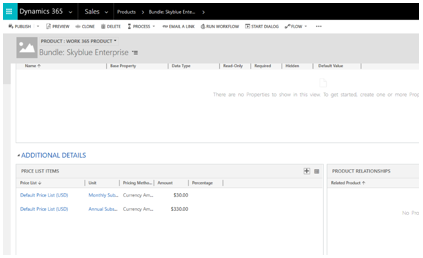 Switch to the Work 365 Product form and complete the fields for the new Bundle Product. 6. Click on Publish to use the Bundle with Work 365.